Bruce Kapferer is a Fellow of the Australian Academy of Social Sciences and is currently Professor of Social Anthropology at the University of Bergen, Norway. His published books include: A Celebration of Demons (1983), Legends of People, Myths of the State (1988), and The Feast of the Sorcerer (1997). He has edited Beyond Rationalism (2003), and has coedited with Angela Hobart Aesthetics in Performance (2005) and, with Bjørn Bertelsen, Crisis of the State (2009). Kari Telle is a Senior Researcher at the Chr. Michelsen Institute (CMI) in Bergen, Norway, where she also coordinates the “Politics of Faith” research program. Her work in Indonesia deals with popular religion, ritual, conflict and security politics. 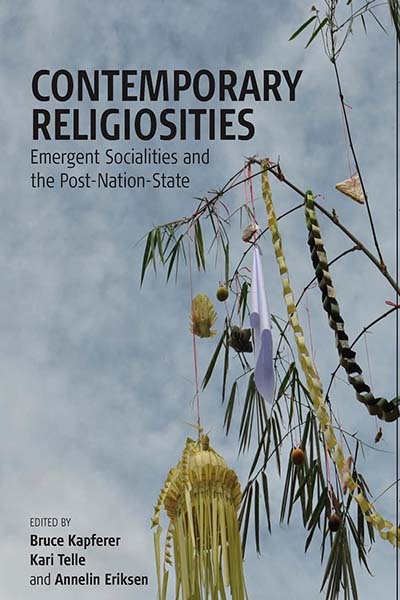 Recent publications include: Swearing Innocence: Performing Justice and “Reconciliation” in Post-New Order Lombok(2009); Spirited Places and Ritual Dynamics among Sasak Muslims on Lombok (2009); Entangled Biographies: Rebuilding a Sasak House (2007). Annelin Eriksen is Associate Professor of Social Anthropology at the University of Bergen. She has worked since 1995 in Vanuatu, first on Ambrym island and later in the capital Port Vila. Her work deals with social and cultural change, Christianity, and gender relations. Her most recent book is Gender, Christianity and Change (2008).